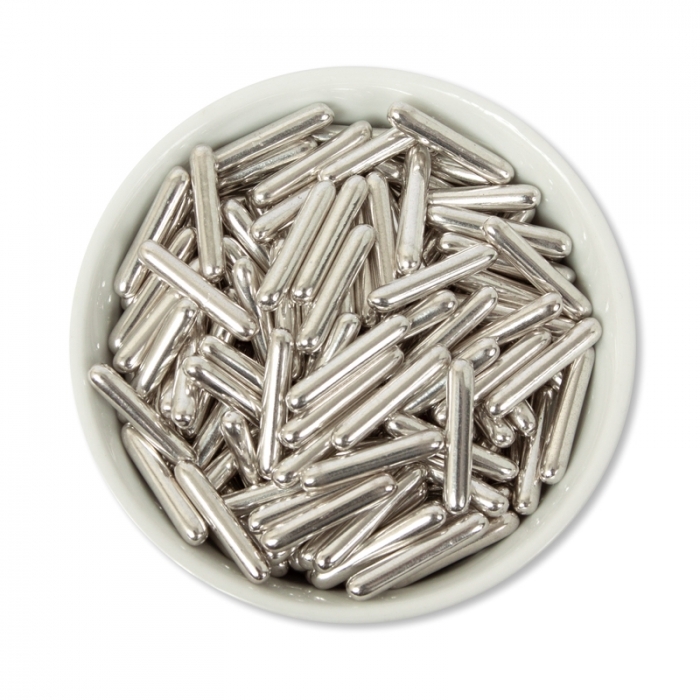 Silver Coated Macaroni Rods, Perfect for decorating your cakes or cupcakes with extra bling! Please note : these are silver coated raw pasta so we recommend removing before eating. However eating them won't effect you in anyway.